Introduce the tools, techniques and models normally used to perform management control in retail companies. Quality referencing: width and depth of product range. 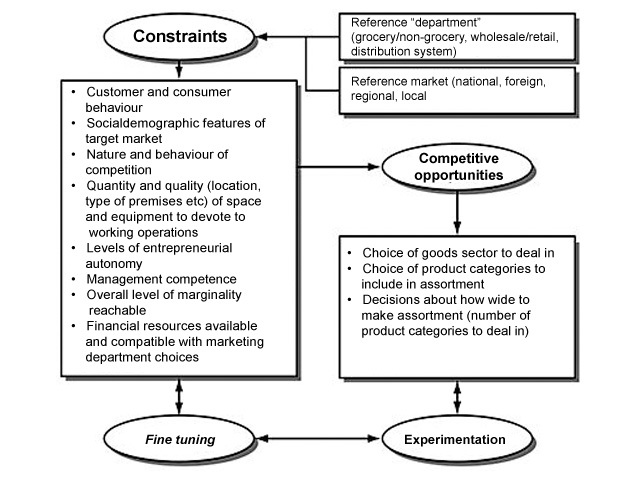 Type of retail company and product range policy. Fine tuning and Basket analysis. The effects of “stock break”. Commercial brands and the effects of private labelling. 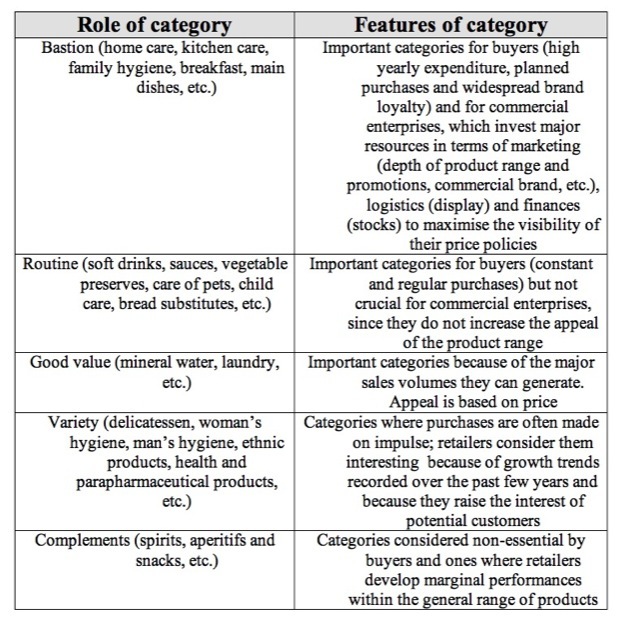 Visual merchandising, the merchandising plan and product categories according to Nelson. Shelf management: sales criteria, the SLIM method, the market share standard, the marginality standard. Pricing depending on business and product type. 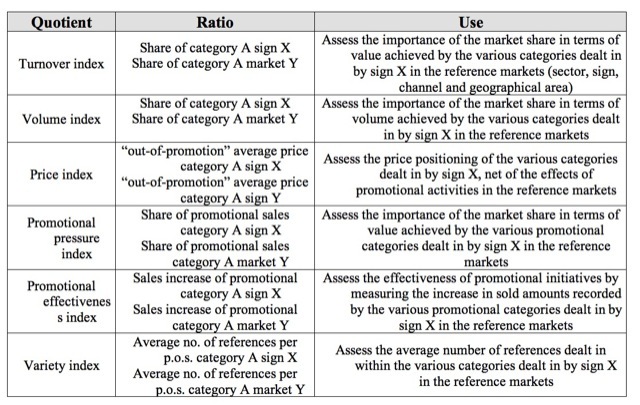 2 - the depth of the merchandise mix, with related choices regarding the “amount” of information to include in the distribution formula adopted. In grocery, the choices concerning the number of caregories, brands and product variants to be included in the assortment, are inevitable once a decision has been made on the type of distribution to use. Basket analysis: Technical analysis of the contents of individual receipts to identify products often purchased together to aid stock management. it provides no information on potential customers. Simpler management aimed at ensuring a good supply system rather than selecting references upstream or what products to deal in. To help reduce out-of-stock risk, businesses could use distribution centres to improve the logistics of materials and information flow. Competitive advantage comes from looking for and selecting the right supplier. The information offered by the width and/or exclusiveness of the assortment is created by identifying those companies who are able to bring the goods to the market; know-how is a source of differentiation. Reduce the need for working capital and fixed assets to a minimum. Make industry responsible for guaranteeing the quality of the products. existing production capacity that can offer quality standardisation within the time and costs agreed. Management of the display area and enhancement of the product range, with the aim of helping the customers’ search in the shop. 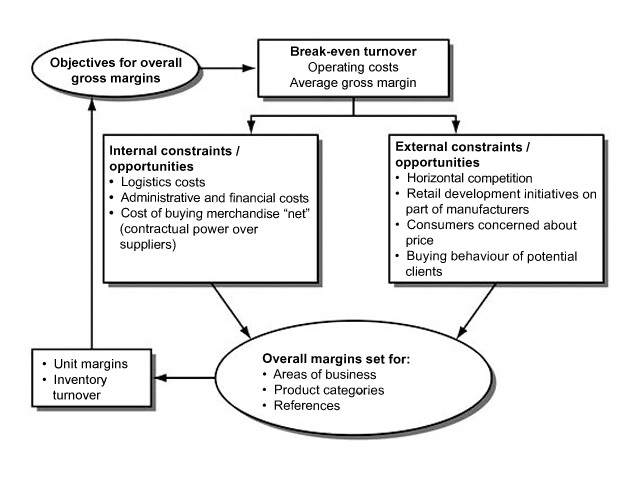 categories developing business by means of flows of different origin. Identifying the best references for marketing, and their positioning in the point of sale to respond to needs the customer reveals through their purchasing behaviour. → It helps customers in their search. → It improves readability and access to the product range. → It is developed based on positioning of the traffic-generating references within the point of sale. Shelf Management: Defining quantity and quality of the display area given to each reference. (Gross or net) margins criterion. Loyalty cards: They may be “membership” cards or may be used to collect “points” → Point-collecting cards. Lower penetration and commercial development costs. It must take into account, if not exploit, the presence of cherry pickers.